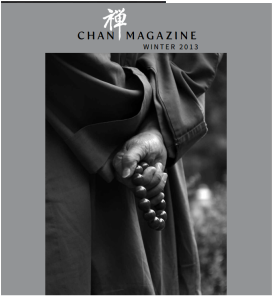 Calling himself "an itinerant monk pressing ahead through the wind and snow," and named as one of the fifty most influential people in Taiwan during the past four hundred years, The late Venerable Master Sheng Yen had a life full of miseries, deprivations, tests, and turning points. The Late Master had a weak physique and been prone to illness since childhood. After becoming a monk in the Wolf Hills in China, he went through years of having to perform deliverance rituals day and night for a living, then served in the military, and was finally re-ordained. Thereafter, whether on solitary retreat, studying in Japan, in America spreading the Dharma, or founding Dharma Drum Mountain, he had always been able to find a way forward when there seemed no way out. In his hardships his compassionate vows strengthen, and through his perseverance his wisdom shines. To him, life is a process of realizing the Buddha dharma. To rise the status of Buddhism and the quality of monasticism in Taiwan, at the age of forty Master Sheng Yen resolutely went to study in Japan. After obtaining a doctorate, he began to propagate in both the United States and Taiwan, and, as a Dharma heir in both Linji and Caodong lineages, traveled around the world to teach Chan practice, ushering numerous people both Eastern and Western into the world of Chan. In order to spread the Dharma through language and concepts accessible to modern people, even with his tight schedule the Master still continues to write, and had published over one hundred books. 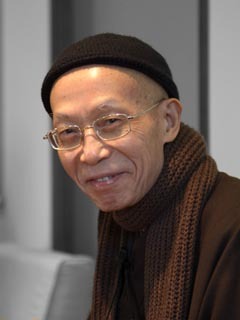 An erudite scholar, the late Master had established the Chung-Hwa Institute of Buddhist Studies and Dharma Drum University to cultivate first-class researchers. In recent years, he had also engaged in public dialogues with leading figures in the fields of technology, art, and culture, and had even collaborated with other denominations and religions. His expansive mind and international outlook have earned him recognition from people in various fields both at home and abroad. Under his guidance, Dharma Drum Mountain had established its bases in Taiwan and its roots in Chinese Buddhism while steadily progressing toward greater internationalization and diversification.